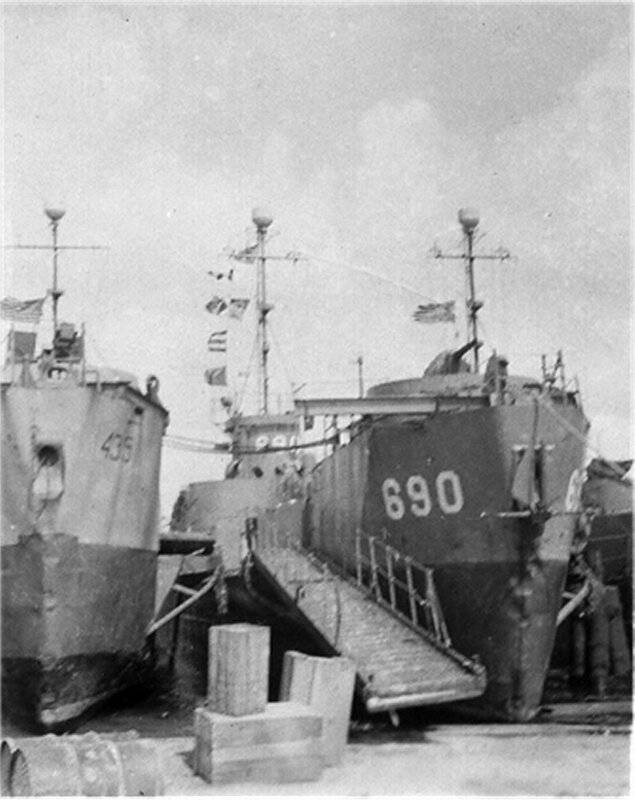 Laid down, 23 April 1943, at New Jersey Ship Building Corp., Barber, N.J.
Australian War Memorial, Photo No. 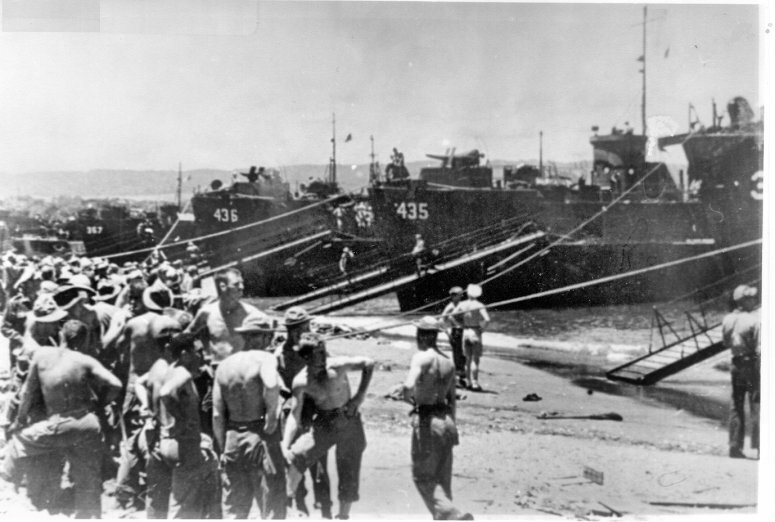 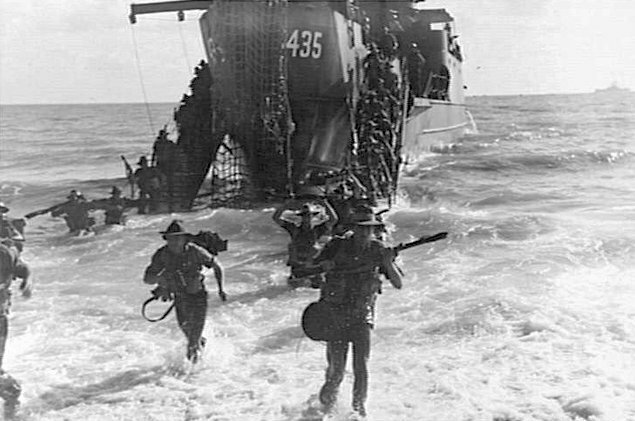 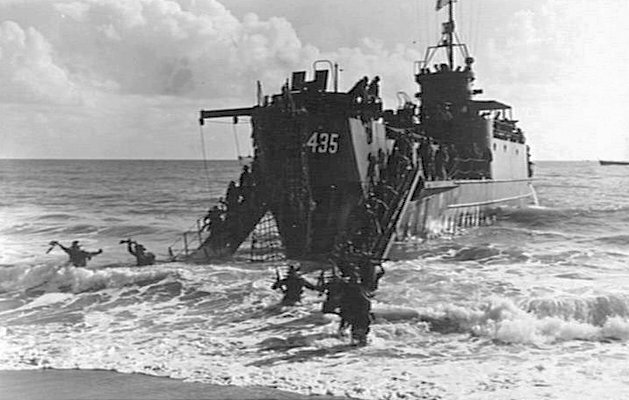 082495 55k USS LCI(L)-435 unloading Australian troops at Buchan Point (Code Name Unity Point),north of Trinity Beach, Queensland, Australia. 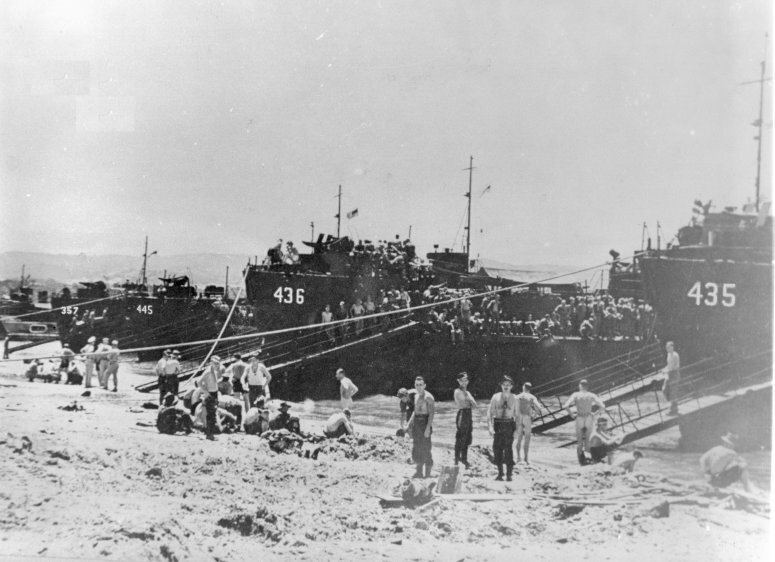 The ship is participating in 7th Division Amphibious Training Exercises, 2 November 1944.